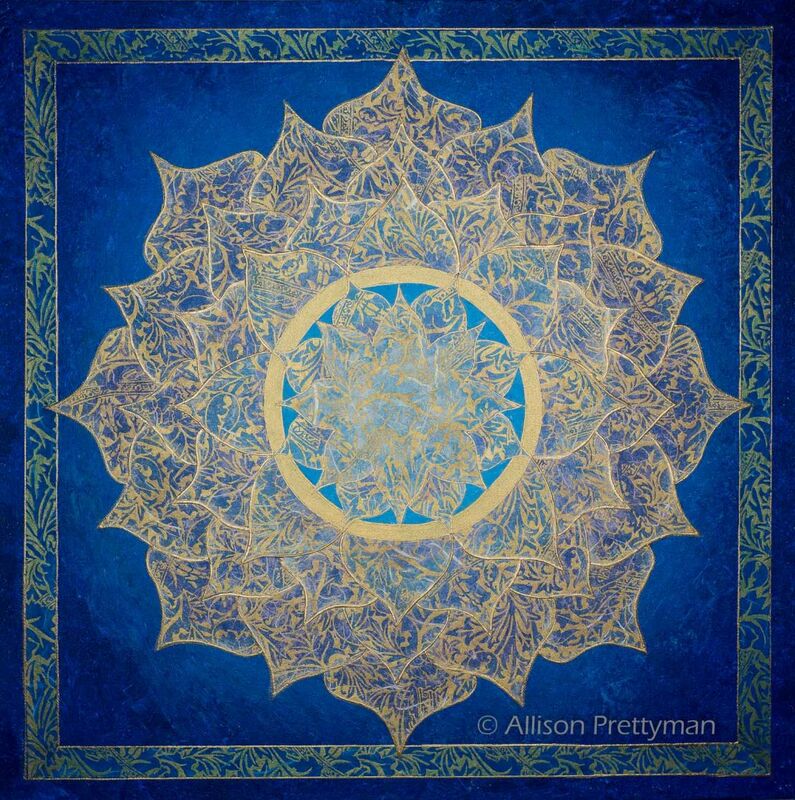 Allison finds great joy in creating Sacred Mandala paintings and fluid acrylic paintings. Each painting is lovingly infused with pure, high quality rose water and intentional prayers for healing and transformation for its recipient. To purchase originals and prints visit: https://fineartamerica.com/profiles/allison-prettyman.html or contact Allison directly at afprettyman@yahoo.com or call at 814-795-2059. The Sri Yantra is considered the Supreme Yantra, symbolizing the Divine within. 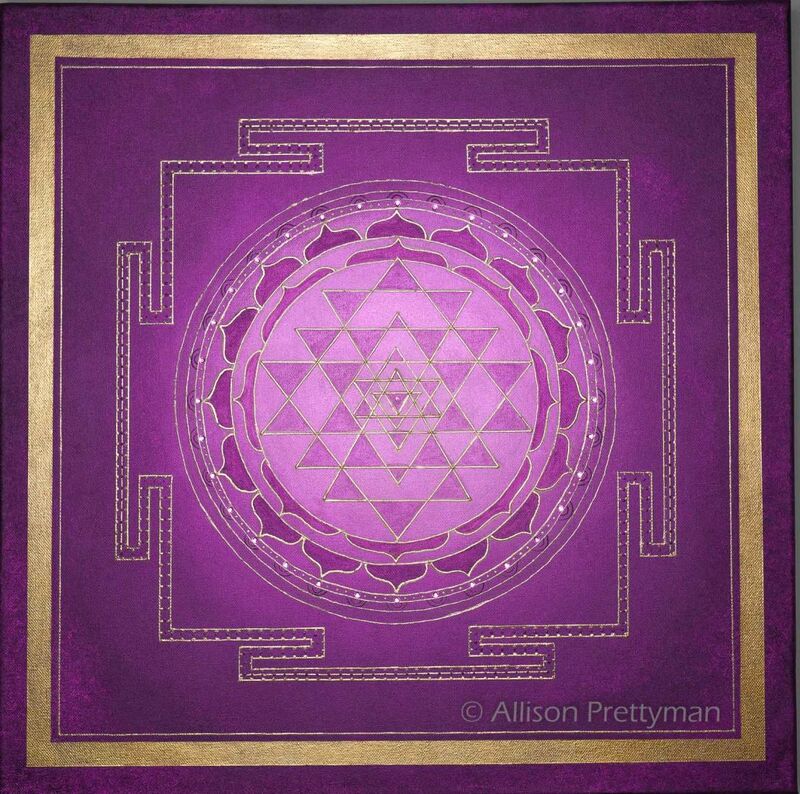 This purple mandala is designed as a focal point for meditation. The Sri Yantra maps a seeker’s journey from the earthly plane to final enlightenment; from the outer triangles to the central dot; i.e., the center of the Universe, the place of origin and unity, where one merges with the Supreme Consciousness. This original was created using acrylic paint on a 18" x 18" canvas, embellished with Swarovski crystal elements. gold leafed paper appliquéd to the acrylic.